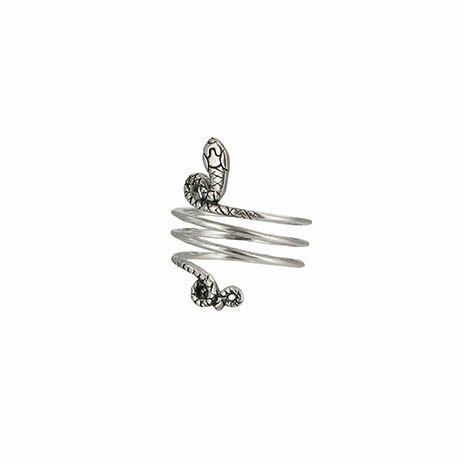 A sterling silver ring in the shape of a triple-coiled snake, inspired by an original Roman ring found in Alexandria. 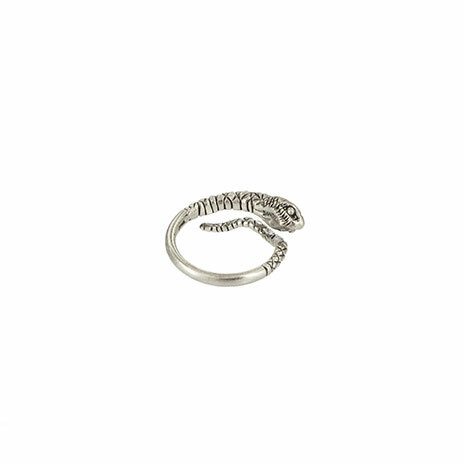 Snake rings were worn in Antiquity as charms, possibly for protection against the evil eye or to ensure fertility. Snakes were also associated with the healing god Asclepius, who is often shown with a snake coiled around a staff. The original Graeco-Roman ring dates from the 1st century BC to 1st century AD and is currently in the Department of Greek and Roman Antiquities. 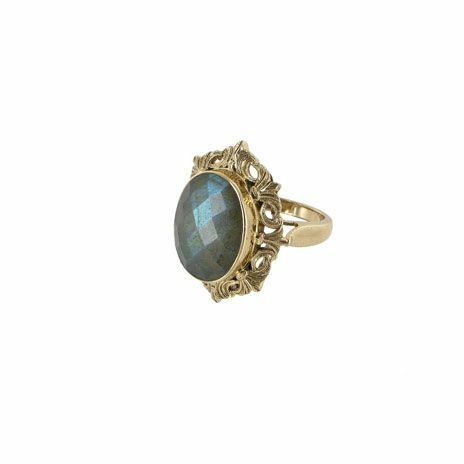 It is one of a series of similar rings made of bronze, silver or gold. 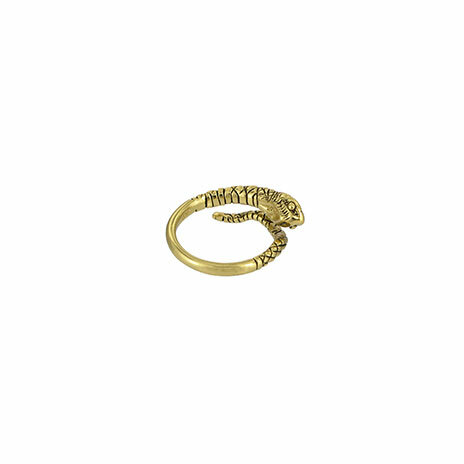 An image of the original snake ring can be seen in the Museum?s collection online. It was made out of one piece of gold wire, tapering from the narrowest point at the tail to the broad and flat head. The scales of the snake are engraved simply, and rendered only on the upper part of the ring, where they could be seen. The broader scales on the top of the snake's head are skilfully composed, and their overhang at the sides gives the snake a menacing look from its almost hooded eyes. The snake's mouth, with its serrated edge, enhances this sinister appearance.